Nrf2 Helps Intestines, Colon, Appendix. Testimonials and 2015 Research. 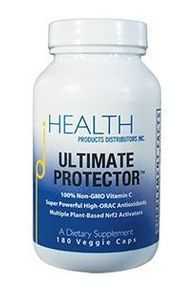 People who have Intestinal Problems report that their symptoms have decreased after taking an Nrf2 activator. Following the testimonials are current research articles that report new information about the cause of Intestinal Problems and how Nrf2 activators can be effective in treating them at the cellular level where they start. Donn Mathias: I suffered for many years from ulcerated colitis - an inflammatory condition of the large colon which produces burning, itching and diarrhea. I watched my diet very carefully and added the Shaklee supplements that are important for healthy digestion along with the Vitalizer. My condition improved; but as soon as I would eat sugar or any gluten, I would again suffer a great deal of pain and diarrhea. I began taking VIVIX and noticed that day by day the inflammation was less and less. All the symptoms associated with the disease were gone in 8 days. VIVIX has also given me a great deal ofenergy, my brain works better and I feel younger. VIVIX has changed my life as I suffered for many years. Thank God for Shaklee." Go to source. I couldn't eat any decent food without having heavy abdominal pains and heavy diarrhea. I didn't sleep more than an hour or so a night at one time before having to go to the bathroom. There was no quality of life whatsoever. I was about at the end of my rope, and they were going to remove the internal pouch and go back with the colostomy which is something I didn't want. "Then someone brought me a DVD showing the effects of Protandim. I had never heard of it, and I really didn't want to take another pill, but after a couple of weeks of that DVD sitting in my kitchen I decided to watch the video. Once I watched it I researched more on the computer and I decided that night I was going to take it. The next day I called a distributor, ordered a bottle, and he gave me some to take while my order came in. I started taking Protandim the beginning of April, and within two weeks the abdominal pain ceased. I had no more abdominal pain. The diarrhea was cut more than half. I started backing off the steroids and codeine pills. Within three weeks I was completely off the steroids and codeine, and I had no abdominal pain, no diarrhea and no chest pains." youtube.com, search "Protandim"
Mary Ann Tregnago: "I am a medical transcriptionist; I have diverticulitis, which had become burdensome to say the least. I have been using Shaklee products and I know they are good. A week ago today I started taking one teaspoon of Shaklee's new product, Vivix. During the past week I have not had one episode of explosive symptoms, no left-sided pain or cramps. I do believe it is safe to say that Vivix is helping." Go to source. John: "I had an Inguinal Hernia which comes from exercising without warming up and jumping up the stairs. It expands and comes out like a balloon. Usually they do surgery and put some kind of mesh there, but not everyone has 11 or 12 thousand dollars so I've started taking Protandim. So far so good. I'm at about 75% improvement because I'm still a little bit worried about going into the gym right now. Apparantly I tore it pretty good. I waited 8 months before I revealed I had problems. So yes, it seems to be working. Yeah well, it is working. I'm a lot stronger. Now I feel I can go to the gym. It's either working or it's not. So now I'm going back to the gym, and we'll see how that goes. Thank you." youtube.com, search "Protandim"
PLoS Genet. 2014 Aug 28;10(8):e1004568. doi: 10.1371/journal.pgen.1004568. eCollection 2014. Integration of UPRER and oxidative stress signaling in the control of intestinal stem cell proliferation. The Unfolded Protein Response of the endoplasmic reticulum (UPRER) controls proteostasis by adjusting the protein folding capacity of the ER to environmental and cell-intrinsic conditions. In metazoans, loss of proteostasis results in degenerative and proliferative diseases and cancers. The cellular and molecular mechanisms causing these phenotypes remain poorly understood. Here we show that the UPRER is a critical regulator of intestinal stem cell (ISC) quiescence in Drosophila melanogaster. We find that ISCs require activation of the UPRER for regenerative responses, but that a tissue-wide increase in ER stress triggers ISC hyperproliferation and epithelial dysplasia in aging animals. These effects are mediated by ISC-specific redox signaling through Jun-N-terminal Kinase (JNK) and the transcription factor CncC. Our results identify a signaling network of proteostatic and oxidative stress responses that regulates ISC function and regenerative homeostasis in the intestinal epithelium.